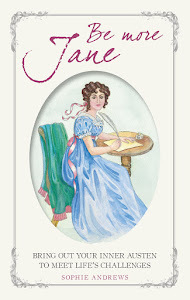 Of all of Jane Austen’s novels, Pride and Prejudice is perhaps the greatest fairy tale. Not, of course, that it follows the traditional sort of fairy tale plot line – generally the princess does not refuse the prince’s first offer of marriage – but in terms of the discrepancy of the stations of its romantic leads. And I think that makes it easy to envision what follows the novel as a sort of “and then they lived happily ever after,” preserving the characters and their time in aspic: Britain quietly at war (but not really acknowledged aside from those pesky militia causing flirtations in local towns), an agrarian economy and a beautiful countryside, great houses of varying sizes and degrees of grandeur, high-waisted empire gowns. There are always rabble-rousing authors like me, however, who want to continue the story beyond this time, prising the characters out of their aspic and evolving them. But doing so requires a decision: as an author, do you keep the rest of the setting frozen in time, or evolve that as well? In my case, I decidedly chose the latter, and found that history could help drive the plot in my first two books. The Darcys were, in truth, living in an era of tremendous upheaval and change, and this can be seen in its shifting economy. The genteel way of earning a living was that means that had been in place for many centuries: by owning land and profiting from agriculture. Yet even this had undergone a change, as a result of the war; Britain was never invaded thanks to its status as an island nation, but it was at times required to feed itself. Landowners often pushed to enclose village commons, so that the land could be farmed, adding to the country’s agricultural output. Yet these enclosures put the poorest of the villages at risk – where before they could graze livestock and glean resources from the common, now they were pushed further into poverty. Trade had, by Austen’s era, become firmly established as a means of making a fortune, albeit a less genteel one. 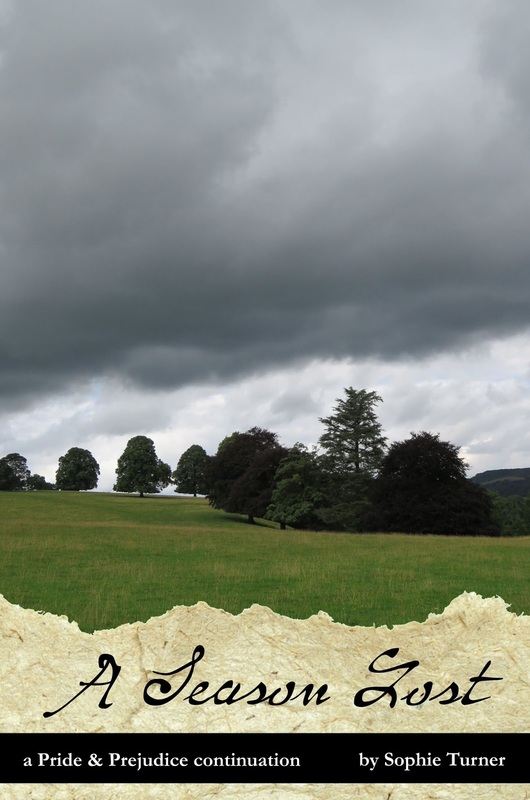 The British East India Company was more than 200 years old by this time, and Austen makes thorough use of it in forming her characters: Charles Bingley’s fortune coming from it, and Elizabeth’s uncle Gardiner still earning his living through it. Trade and empire go hand-in-hand, and we are in that stage of the growing British Empire, although it will be just less than a hundred years before it truly sees its peak. But there was also a newer kid on the block: industry. The Industrial Revolution was already well underway before the beginning of Pride and Prejudice, and Pemberley’s location in Derbyshire and its manufactories puts it quite in the midst of that revolution. At its heart, this revolution was about automating work, and those workers impacted by this automation made their concerns heard – the Luddite movement began in 1811, well before the events of P&P. Into this mix came the year of 1816, also known as the “Year Without a Summer.” On the other side of the world, Mount Tambora had erupted, causing global climate disruption that could be seen first in the spectacular sunsets of 1815, but then led to severe weather across much of the northern hemisphere. I already had plans for the characters as to what was going to happen to them next, but it was impossible to ignore such a time in history, and so that summerless year means history takes a much more prominent role as the characters live it in A Season Lost. The agrarian economy is obviously severely impacted, and we see it strike every estate, although Pemberley (and Mr. Darcy’s attempts to pull it through this difficult year) is featured. Pemberley’s place in Derbyshire means it is doubly impacted – in addition to the poor weather, recession following the end of the war meant that goods were piling up in ports, and manufactories were letting go of workers, who were then seeking work wherever they could find it. The price of grains was rising due to scarcity, and so even for those who were employed, food was becoming more difficult to afford. “Bread or Blood,” read the banners hoisted by demonstrators in Norfolk, and the cost of grains eventually rose higher than the threshold set by the Corn Laws, which had been instituted to protect landowners at risk from cheap grains imported from abroad, now that war was over. With two legs of this tripod so impacted, trade was of course impacted as well, but it’s the negotiations in trade with another country, also a true piece of history from 1816, that end up featuring prominently in this book. They are a glimpse into the growing British empire, although it’s the story of the characters involved in them that takes real prominence. [Elizabeth] gazed out the windows, where raggedly dressed men and women could be seen crossing the fields, following the turnpike road but without either the desire or the means to pay the toll. On farther, and there was a whole encampment of them. She began to better understand why her husband had insisted on multiple outriders for this journey – a rarity for them, for although they could afford it, Darcy did not like to show away, and usually found one man perfectly sufficient for riding ahead to the next inn to see to their needs. “Gipsies?” she asked Darcy, who had followed her gaze. There were children in the camp, Elizabeth saw – young, thin children with knobby knees and elbows. She looked down at James, healthy little James with that pink plumpness of an affluent youth, and almost wept, both that her own boys were born into such prosperity, and for those mothers who must know their own children’s hunger. “What can be done for them?” she asked, softly. One of the things that continues to blow my mind when I think about the Darcys and the rest of the characters of Pride and Prejudice is that they will live to be Victorians. Money from agriculture will continue to be the mark of a gentleman, but the empire will continue to grow, and the industrial revolution will increase its pace (One couple takes a ride on a newfangled paddle steamer during A Season Lost, and there is far more to come as the series goes on.) Yet ultimately it’s a series about characters who evolve and grow; these are not history books, but the characters are shaped by the history they live in. Sophie Turner worked as an online editor before delving even more fully into the tech world. 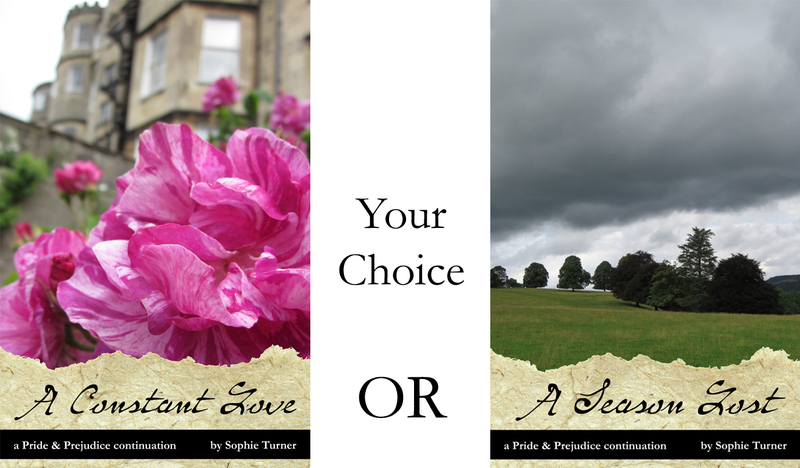 Writing, researching the Regency era, and occasionally dreaming about living in Britain are her escapes from her day job. She was afraid of long series until she ventured upon Patrick O’Brian’s 20-book Aubrey-Maturin masterpiece, something she might have repeated five times through. Alas, her Constant Love series is only planned to be seven books right now, and consists of A Constant Love, A Change of Legacies, and A Season Lost. 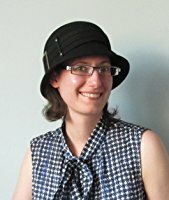 She blogs about her writing endeavours at sophie-turner-acl.blogspot.com, where readers can find direction for the various social drawing-rooms across the Internet where she may be called upon. I remember the upheaval, a few years ago, to flights across Europe after an eruption in Iceland. Planes were grounded for about a week, even for very rich people! We think of ourselves as pretty unaffected by Mother Nature these days, until we get a reminder that nature is a powerful thing. I am really looking forward to reading this book, and seeing the historical event brought to life. Sophie is kindly giving away a book from the Constant Love series to a commenter on this blog post! If you haven't read any of the series yet, don't worry; you can win your choice of books from the three, so either A Constant Love, A Change of Legacies or A Season Lost. 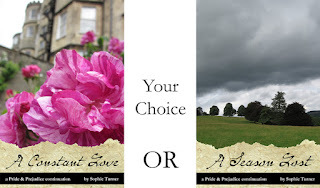 Sophie's also offering a choice of formats - either kindle or paperback. To enter, just comment on this blog post by the end of the day on Sunday 9 December. It would be very helpful to me if you'd leave contact details, so I can let you know if you are the lucky winner. I agree, Vesper, I enjoy it when historical authors weave real-life events into their stories; it's an enjoyable way to learn some history and see it applied to life at the time. Thanks, Vesper, glad to hear you're looking forward to it! Thanks @Unknown -- I'm honored you've enjoyed the first two enough to reread them and I hope the third is the same for you. :-) Good luck in the giveaway. I hope you enjoy it when you read it, and good luck in the giveaway! 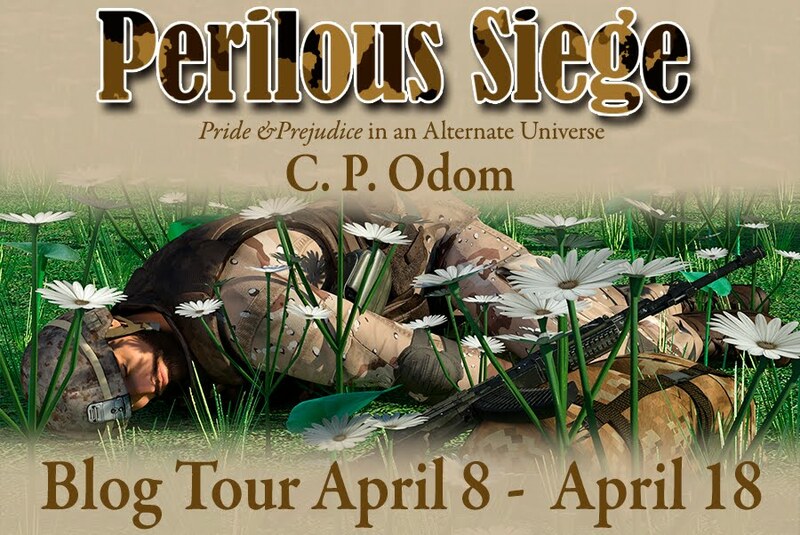 So looking forward this new book Sophie!!! So glad to hear you're looking forward to it, Danielle. :-) Good luck in the giveaway! Hope you enjoy reading it, Danielle! You make a good point Ceri about the flight disruptions in Europe regarding the ash from the volcano eruptions on Iceland. I am a huge fan of history being woven into a story and Sophie does it brilliantly! Please do not enter me in the giveaway as I own the first two and will get the 3rd one in the near future! Thanks, Sheila, glad to hear you're looking forward to this one. Good luck in the giveaway! Just fab interview Ceri and Sophie your new book sounds great! I look forward to reading it... hope I win a chance too! Thanks, LifewithRUFUS! Glad to hear the book sounds interesting to you, and good luck in the giveaway! Thanks, Jen, glad to hear you're looking forward to the series, and good luck in the giveaway! Removed and resubmitted to fix typo. Thanks, darcybennett! And yes I think that's been one of the fun things about doing the series is exploring Elizabeth's deeper and deeper understanding of her husband's character. Good luck in the giveaway! Glad you enjoyed the excerpt. It tugged at my heartstrings! Thanks, J. W.! Glad to hear you're looking forward to book three and think the cover is the best match...it was a tough choice. Good luck in the giveaway! You amaze me, J W, in how well you remember the stories, given that you are such a voracious reader! That's actually why I started reviewing, to help me remember what I'd read. Good luck in the giveaway. I would love to start this series. Mr. Darcy is such an honorable man. Great excerpt. Thanks, glad to hear you're interested in the series! And good luck in the giveaway. I hope you enjoy the series when you read it, Schilds. It is a change to read a sequel rather than a variation. A very informative historical tidbit on what life must have been for the English people living at the time of the 'Year Without Summer'. I quite enjoyed the excerpt too, Sophie. Thanks for sharing it and offering the opportunity to win your book. Thanks, glad to hear you enjoyed the post and excerpt. Good luck in the giveaway! Thanks Luthien. Good luck in the giveaway. I'm looking forward to reading this, Sophie. I've read a couple Regencies and JAFF that include that season in their stories, and I think it's fascinating to read 200 yrs. after the fact, and scary to think of it happening to the world now. I'm glad you picked the cover you did, I liked it best when you talked about cover decisions on a blog recently (sorry I don't remember) but I thought the light in the distance could represent hope. Best of luck on this book and the series.